Did you know that the body has an innate intelligence? It runs a series of complex systems, which rely on proper balance and coordination in order to function correctly. A type of complementary medicine, chiropractic is a hands-on treatment that supports this innate intelligence. What’s in a name? In the case of chiropractic, the ingredients include the Greek words “cheir,” which means hand, and “praxis,” which means action. It is a fitting combination for a therapy that is primarily done by hand. Chiropractic uses manipulative treatments to adjust subluxations, or misalignments of the joints, especially those of the spinal column, which are held to cause other disorders by negatively affecting the nerves, muscles, and organs. Unlike medical doctors, chiropractors do not prescribe medications or perform surgery. Instead, they use manual treatments to combat specific conditions and improve the body’s overall health. Conventional medicine generally focuses on resolving the symptoms of an illness once they occur. While chiropractic can certainly be used to address an existing health concern, it simultaneously attempts to improve the overall health of the individual in an effort to prevent illness. Schedule an appointment now to experience the benefits of chiropractic. What is chiropractic adjustment? A type of manual manipulation, it is a quick amount of pressure or thrust applied to a vertebra for the purpose of correcting it. While it generally does not hurt, patients may experience some minor discomfort if the surrounding muscles are in spasm or if they tense up during the adjustment. Relaxation is key when being adjusted by a chiropractor. Patients often joke that they see a chiropractor for “bone popping” or “cracking my back.” That is because adjustments are sometimes accompanied by their own sound effects. As the gas trapped between the joints is released during the adjustment, there may be an audible crack, pop, or even a snap, crackle, pop. Don’t let the noise shock you. It is perfectly normal. On the flip side, if you don’t hear anything, don’t panic. A lack of noise doesn’t mean that the adjustment was unsuccessful. The silence may be the result of the specific technique used to make the adjustment, or it could be caused by significant muscle tightness. Chiropractic adjustments reduce the misalignments that interfere with your body’s natural ability to function, allowing the body to return to its normal state and function smoothly. Remember, health is more than the absence of disease. When truly healthy, you can embrace life on your terms. Given the choice, most people would prefer to be healthy rather than sick, but not everyone is willing to take action. Fortunately, a growing number of people are recognizing the benefits of being proactive about wellness, using preventative health care to maintain the body’s natural ability to heal. That’s a step in the right direction. Neglecting your health (and perhaps assuming you will embrace a healthy lifestyle someday) is a huge mistake. We have heard every excuse imaginable as to why people believe they can’t afford the time or money to invest in their health, but consider this: Maintaining your health by making wellness a priority today is much easier than struggling to improve your health after you’ve lost it. Preventative health care solutions like chiropractic care, exercise, and eating your veggies are excellent and easy ways to invest in your health today. Of course, chiropractors are doctors. We aren’t magicians or infomercial peddlers. We don’t believe that everyone who leads a wellness lifestyle is completely free of pain, illness, and disease – and we certainly aren’t trying to convince anyone else that that’s true. While living a wellness lifestyle can enrich your life and increase the odds that you will enjoy vibrant health, there are no guarantees. It is possible to do everything right and yet still suffer from ill health or even a fatal disease. There is no way to predict who will live well and who won’t. That doesn’t mean you shouldn’t try to do everything right. Like other health care providers, we do our very best to help our patients reduce health care risks and promote positive health changes. Why not schedule an appointment today to begin investing in your health? Although chiropractic care has been around since ancient times and got its official start in 1895, most people do not understand what chiropractors do. As a result, there are still many myths circulating amongst the general public about chiropractors. Let’s distinguish fact from fiction. Chiropractic Myth #1: Chiropractors are not real doctors. Chiropractors earn a Doctor of Chiropractic degree from an accredited chiropractic college and register to be licensed health care providers just like medical doctors or other physicians. That information can be verified with the National Provider Identifier Registry. Every state in the US requires that chiropractors be licensed, and many chiropractors are also licensed in countries around the globe. How do chiropractic and medical school curricula compare? Both are very rigorous and cover similar subject matter. Chiropractors actually have more hours of classroom education than their medical counterparts, and both chiropractors and medical doctors must complete a supervised residency, working with real patients in a clinical setting. Upon graduation, chiropractic students must pass four sets of national board exams as well as the state board exams in their state. 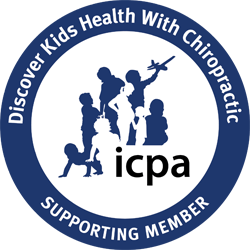 Chiropractors, like medical doctors, are licensed health professionals. They are subject to the same types of licensing, state monitoring, testing procedures, and national peer-reviewed or industry association boards. Federal agencies accept sick-leave documents signed by chiropractors. Federal and state programs, including Medicare and workers’ compensations programs, cover chiropractic care. Chiropractors are even commissioned to be officers in the military. The primary difference between chiropractors and medical doctors lies in how they choose to care for their patients. Medical doctors are trained to use medicines, chemicals that affect your internal biochemistry, and surgery. Chiropractors take a very different approach. Many health problems are the result of misalignments in the musculoskeletal system. These subluxations may cause imbalances in your body’s other systems, creating a wide array of symptoms. Chiropractic teaches that these physical problems need physical solutions, and that’s what chiropractors provide. Utilizing adjustments, stretches, muscle therapies, exercises, and other natural techniques, they help the body heal from conditions stemming from physical problems. Chiropractic care can be highly effective in providing relief for an array of conditions. What is chiropractic used for? It can be utilized in the treatment of back and shoulder pain, migraines and headaches, neck pain, sciatica, whiplash, fibromyalgia, and much more. Chiropractic care can also be used to promote general wellness. In fact, it is entirely normal to receive chiropractic care even if you are not struggling with pain or other symptoms. No, chiropractors do not “break you so that you have to keep coming back for treatment.” Chiropractic adjustments improve your nervous system, which improves how the rest of the body works, which promotes general wellness. Many patients elect to schedule maintenance treatments to maintain their well-being and catch any issues before symptoms develop. Chiropractic Myth #2: Medical doctors don’t like chiropractors. In the past, there was some undeniable friction between the traditional medical establishment and the chiropractic community. Not content to characterize chiropractors as “rabid dogs,” Morris Fishbein, the leader of the American Medical Association in the 1940s, also described them as “playful and cute, but killers.” It was part of an ugly attempt to portray chiropractors as con artists offering treatments with no scientific merit in order to take patients’ money. This antagonism continued through the next few decades, with the medical conspiracy deliberately working to destroy the chiropractic industry through the 1970s and early 1980s. A landmark lawsuit in the 1980s was the beginning of the end of these hostilities. The Illinois Supreme Court found that the American Medical Association was guilty of conspiracy and ordered the organization to pay restitution to the chiropractic profession. Since then, several major studies have offered evidence of chiropractic’s benefits, and the prevailing opinion of medical doctors has completely changed. What is chiropractic care’s reputation among the medical community now? Today, medical doctors and other physicians have developed a deeper understanding of what chiropractors really do, and they work with chiropractors to provide patient care. Some chiropractic offices have medical doctors on staff, and large hospitals generally have chiropractors on staff. Both chiropractors and medical doctors are more comfortable working together in cases where medical care is necessary as an adjunct to chiropractic care, and it is normal for patients to discuss their positive chiropractic experiences with their medical doctor. At Loehr Chiropractic & Acupuncture, it is our pleasure to work as part of your medical team with a wide range of health care professionals, including medical doctors, surgeons, physical therapists, midwives, and more. Chiropractic Myth #3: Once you start going to a chiropractor, you must keep going for the rest of your life. Chiropractic care is not a prison sentence. You don’t have to keep going to the chiropractor for the rest of your life . . . but you may want to. Many years ago, dentists persuaded the public that instead of waiting until your teeth hurt to schedule a dentist appointment, you should visit your dentist regularly to keep your teeth from hurting at all. After all, routine dental care and preventative maintenance can help your teeth remain healthy for a long time. Chiropractic care for your spine works the same way. Like your teeth, your spine experiences wear and tear during everyday activities like walking, sitting, driving, lifting, bending, and even sleeping. Routine maintenance appointments with your chiropractor can help you move with more freedom and stay in better health throughout your entire life. If pain or discomfort prompts you to visit a chiropractor, you can certainly request a series of treatments for your acute condition and then stop. Going to the chiropractor regularly is necessary only if you want to enjoy the benefits of maintaining the health of your musculoskeletal system. Once patients experience the wellness benefits that chiropractic naturally delivers, most want to continue coming for maintenance visits. They incorporate it into their health care routine alongside other important health care check-ups, like the dentist, eye doctor, dermatologist, and general physician. Check out what our patients have to say about Loehr Chiropractic & Acupuncture, and contact us today to begin living healthy naturally. Although the official start of chiropractic as a profession didn’t occur until 1895, the history of chiropractic care stretches back much further into the past. Ancient writings from China and Greece dating between 2700 B.C. and 1500 B.C. discuss manipulation of the spine and extremities to relieve back pain. In addition, Hippocrates, a famous Greek physician who lived from 460 B.C. to 357 B.C., published writings that emphasize the importance of what would be chiropractic adjustments or spinal manipulation. “Get knowledge of the spine, for this is the requisite for many diseases,” he advised, and it seems many ancient societies agreed with him. Evidence of manual manipulation of the body has been found among ancient civilizations in Egypt, Babylon, Syria, and Japan. In the Western hemisphere, healers among the Incas, Mayans, and Native Americans also used manual manipulation. Modern chiropractic was born in 1895 when Daniel Palmer restored the hearing of Harvey Lillard after manually adjusting his neck. Two years later in 1897, Palmer would found the Palmer School of Chiropractic in Davenport, Iowa, and aspiring chiropractors continue to train there today. Logan College of Chiropractic, Cleveland College of Chiropractic, and other respected institutions also provide motivated individuals with the rigorous, in-depth training needed to earn a Doctor of Chiropractic degree. Several research studies conducted during the 20th century have validated and demonstrated the importance of chiropractic care by detailing its ability to reduce health care costs, improve recovery rates, and increase patient satisfaction. In fact, one very large study conducted in Canada, the 1993 Manga Study, concluded that chiropractic care would save hundreds of millions of dollars annually in work disability payments and direct health care costs. How would you benefit from this time-tested treatment? Contact Loehr Chiropractic & Acupuncture today and schedule a consultation.